A program for planning and calculating the flight route of an airplane (helicopter) using Jeppesen aeronautical information cards. Allows in automatic mode to plot and calculate the route for a certain type of aircraft. It consists of three parts. It is updated bi-weekly. 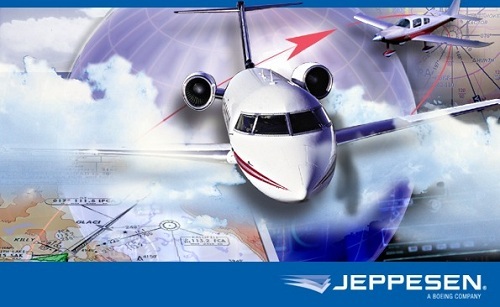 The JeppView program is a reference material in electronic form, it is also possible to print out the necessary airport schemes - all Jeppesen (maps, airport schemes, etc. ), FliteStar - a program for automatically planning and calculating the flight route, printing a flight log with the calculation of the flight, possibility to connect GPS and use as a navigator, FliteDeck - GPS navigator for use in flight (GPS receiver is required). In the complete set all necessary for installation. Extras. information: Jeppesen is an American company that is one of the world leaders in the market of providing aeronautical information. It also provides flight planning services and educational services in the aviation field. The company is a division of Boeing Commercial Airplanes. The headquarters is located in Inverness (Colorado, USA). The company has representative offices in various countries, including Germany, Great Britain, Australia.